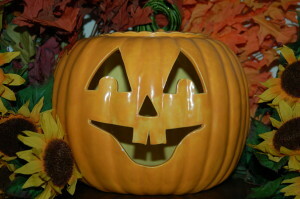 In early times October was the eighth month of the year. Its name is derived from the Latin word octo, meaning “eight.” Julius Caesar changed the calendar, added months to the beginning of the year, and made October the tenth month. Since that time, the month has had thirty-one days. 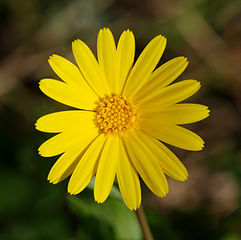 The calendula is October’s flower. October birthstones are the opal and the tourmaline. National Hispanic Heritage Month is celebrated from September 15 through October 15 by Presidential Proclamation. National Popcorn Poppin’ Month celebrates the nutritious snack. Did you know that Americans eat more than sixteen billion quarts of popcorn every year? Children could visit a website at: Popcorn. National Pizza Month honors one of America’s favorite foods. 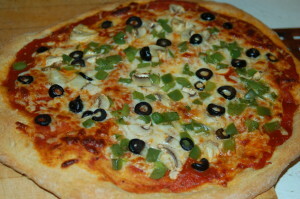 Children can learn some interesting facts about pizza at: Pizza. National Breast Cancer Awareness Month reminds people of the need for cancer screening. Fire Prevention Week educates children about what to do in case of fire. Presidential Proclamation has declared the week to be the first or second week in October since 1925. This year Fire Prevention Week starts October 7 and ends on October 13. This year’s theme is “Look. Listen. Learn. Be aware – fire can happen anywhere.” Children could visit a website at: Fire Prevention Week. Idea: Perhaps a firefighter could visit the classroom and share fire safety information. National School Lunch Week is observed by Presidential Proclamation for the week beginning with the second Sunday in October. The year 1962 marked the first observance of this week. This year National School Lunch Week begins October 15 and ends October 19. Children can learn more at: School Lunch. National Forest Products Week begins with the third Sunday in October. Presidential Proclamations have been issued for National Forest Products Week since 1960. This year National Forest Products Week is celebrated from October 21 through October 26. Children can learn some amazing facts about wood and forests at: Wood Products. Child Health Day is the first Monday in October. Presidential Proclamations have been issued for this day since 1928. This year Child Health Day is October 1. Supreme Court starts its new session on the first Monday in October. This year the Supreme Court starts work on October 1. Children can see the Supreme Court’s schedule at: Supreme Court Calendar. National German-American Day is celebrated on October 6. Columbus Day is the second Monday in October. This year that date is October 8. Canada celebrates its Thanksgiving on the second Monday in October. This year that date is October 8.